Bullying is a pretty hot button topic these days. I'm often left wondering what it is that makes people, adults and children alike, think it's okay to be cruel to others. It's baffling. 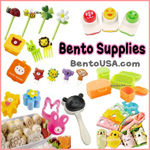 We don't usually get heavy here on BentoForKidlet but this is an issue that we just can't ignore. 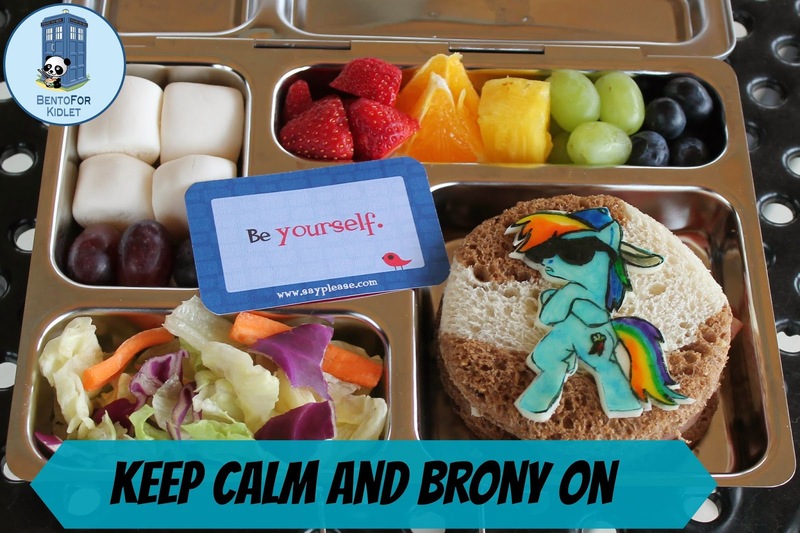 A bento buddy of mine brought to my attention a story about a little boy Grayson who was told by school administration that he should not bring his My Little Pony lunchbox to school because it was inciting the bullying he was enduring. Nothing was done about the kids doing the bullying! My heart just ached to hear that. You can show your support for Grayson by liking their Facebook page Support for Grayson. Give the little kiddo some love. We could all use more of it. Shortly after that I read an article about Michael, an 11 year old who attempted suicide because of bullying over his love of the My Little Pony show. You can read the article Here. You can also help out his family with the medical expenses of his recovery on his GoFundMe Page. These things hit really close to home for me and my Kidlet and it causes me physical pain to hear these stories. But they are happening everywhere and it's time for this to stop. Younger and younger kids are hurting themselves or trying to take their lives because of the bullying that never ceases. What will it take for us all to stand up and say enough! This isn't right! My own Kidlet suffered severe depression and was hospitalized for suicidal ideation last year. It's been a rough road for us both but he is doing well and learning to ignore the haters and be proud of who he is. He's so very strong. I'm immensely proud of that boy. 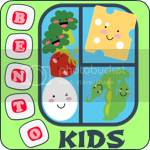 So today we are having a Blog Hop in support of all kids and adults who had endured bullying. We are saying enough is enough. You are not alone. We're all here with you. We've got your back. Click on the link at the end of my post to see the next lunch! In our PlanetBox Rover Kidlet has Dandies Vegan marshmallows, purple grapes, strawberries, orange slices, pineapple, green grapes, blueberries, salad and a sandwich on swirl bread with Rainbow Dash cheese made with food colors. In the Middle is a Lunchbox Love Note. My fantastic Kidlet with his lunch and a My Little Pony backpack he got for his birthday! 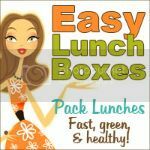 We're honored that you featured our Lunchbox Love for Kids card "Be Yourself" in such an important post about bullying. We feel proud and we have lots of other cards that encourage kindness. Love this!! Such a touching post, Jenn. 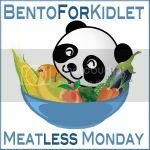 I think you and Kidlet are just amazing - as are your lunches!! :) This one completely rocks! xoxo to you both! You created such a beautiful and meaningful post! Thank you for sharing. Also you have amazing skills for drawing on cheese! Lots of love for you and your Kidlet. This is a wonderful post. Your Rainbow Dash is awesome. One word, Jenn. AWESOME!! Awesome lunch, awesome cheese, awesome post. Total awesomeness here!!!! Thanks for sharing...great post & lunch! So proud of both of you! Your Kidlet has a fabulous Mumma leading by example. How else could he turn out but awesome! (or maybe like 20% cooler tee hee hee) Love your cheese art as always. Love it! Awesome post and lunch. Stay strong Kidlet! Never let anyone crush your beautiful spirit! Love this post. Love you! So touched by your post! The lunch is awesome too! What a tough road…it's so hard to watch your kids hurt. We are going thru the same thing right now. So, glad Kidlet is embracing and loving who he is. That is AWESOME! 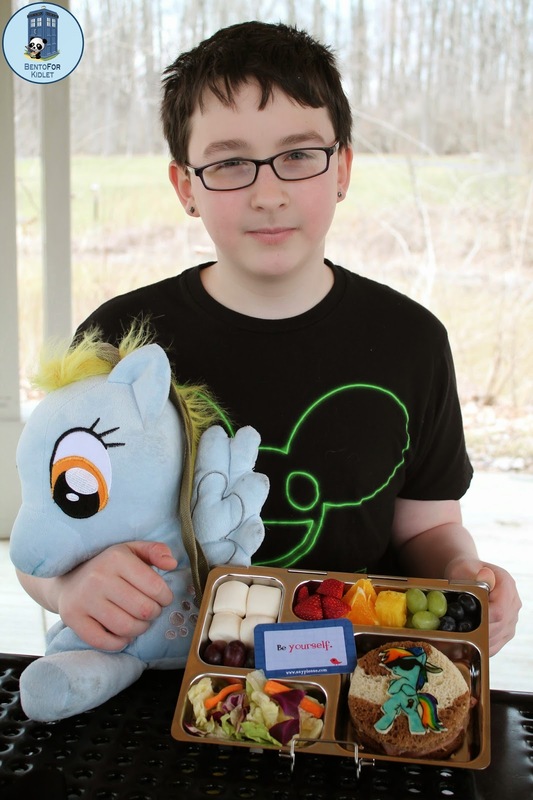 Stay strong and Brony On, Kidlet! You ROCK! Love this, Jenn!